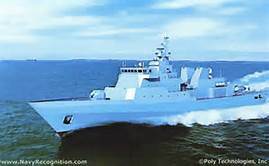 Staff Correspondent: Bangladesh will procure six new ships from China at a cost of Tk 1,843cr, according to a press release. “Each ship will have 39,000 tonnes capacity. The six ships – three oil tankers and three bulk carriers – will be added to Bangladesh Shipping Corporation (BSC) fleet within 2018,” said the press release. A three-member delegation led by Shipping Minister Shajahan Khan has left Dhaka on 15 May for China. Minister Shajahan was accompanied by Shipping Ministry Additional Secretary M Abdul Kuddus Khan and BSC Executive Director (Technical) M Sayed Ullah. BSC will pay Tk 395cr of the total bill, with the rest Tk 1,448cr being covered by the Chinese government. The oil tankers will be used to transport imported and refined petroleum from Bangladesh Petroleum Corporation. The bulk carriers will be used to carry coal, fertilizer and bulk commodities. Bangladesh Shipping Corporation has bought 38 ships since 1972.